Ginger's Got a Gun: Remember when it turned out Ginger shot JR? 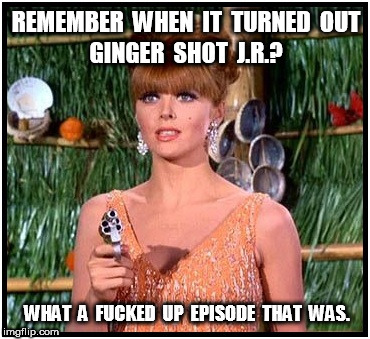 REMEMBER WHEN IT TURNED OUT; GINGER SHOT J.R.? WHAT A F**KED UP EPISODE THAT WAS.